Please see the Hurst BC facebook link below. It contains the latest news items about the club. Please help the local community bowling club by giving a donation (click on the logo below to donate and find out more information). 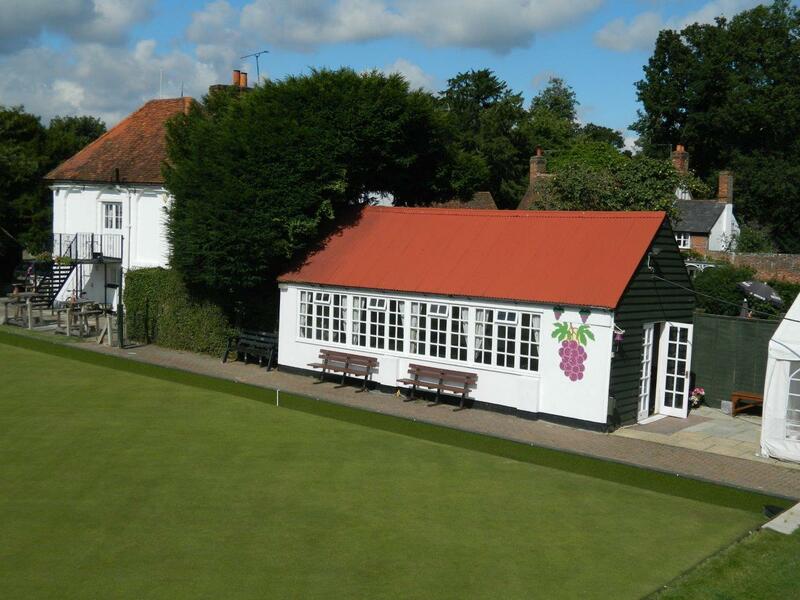 Hurst Bowling Club desperately needs a new Club House. The club house can be seen in the picture on the right after it has been painted. Its primarily constructed of wood with a corrugated tin roof. It is now starting to show a lot of structural wear and tear. Club members give their time every year to paint and maintain the club house and other buildings. It’s come to a point where a lick of paint and a nail here and there will not do any more. We would like to construct a new club house in keeping with the environment and rural setting. The club has approximately 58 members who give up their time to keep the bowling club working thus reduce the cost of any external contractors. Please make a donation towards the new club house or if you can contribute in any other way contact Ronnie Ashley (Fund Raising Coordinator) T. 01344 310119. Alternatively you can donate by Local Giving- click on the logo above. We invite you to try this enjoyable sport which is challenging without needing physical prowess. Although a form of the game can be traced back to early Egypt the sport as we know it today is regulated by Bowls England to which we are affiliated. This outdoor sport is enjoyed in dry or wet weather, as long as the green is safe and playable. We have to adjust to the characteristics of the various greens we visit (their speed and imperfections) as well as the strategy of the game itself. The majority of our matches are played as “mixed triples” which means five teams of three bowlers, each having at least one lady and one gentleman. This results in good companionship amongst ourselves, meeting like-minded people within a radius of about 25 miles and renewing old acquaintances. Most of our matches are played on Wednesday evenings, Saturday and Sunday afternoons and are friendlies but we do compete in a mixed triples league. The club captain maintains a fair play policy so that all members play about the same proportion of matches for which they make themselves available. An exception to this policy is provided to allow the captain to select the strongest side available for league matches. Hurst ladies play a regular Tuesday afternoon match throughout the season and celebrate with high tea at the end of each match while catching up with the fortunes of the opposition. There are several internal club competitions which run through the summer and are open to all. These are an ideal opportunity for individuals to improve their standard of play. Couples are selected together as far as the above policy allows although they will not play on the same rink as each other if they have expressed that preference. Club practice evening is every Tuesday during the playing season at 6pm. Coaching and other advice is also available at this time. Members are entitled to practice individually or otherwise any other afternoon or evening if there is no match taking place. If you would like to try your hand telephone or email us. Follow us via our News page and our Newsletter. There is additional information of the club’s other activities on the Local Giving website – just click on the link at the top of the page.